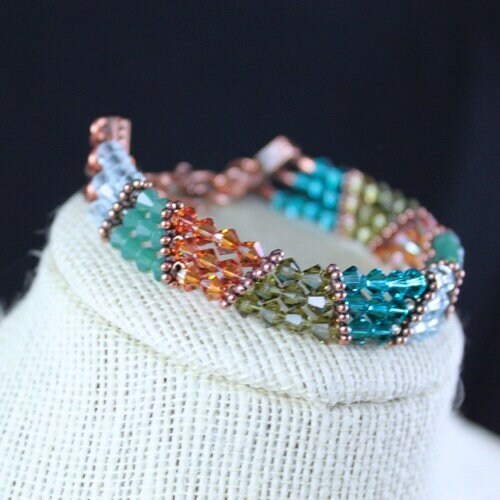 Bracelet Ingredients: Three strands of Swarovski Crystals that mimic a beaufiful desert sunset. 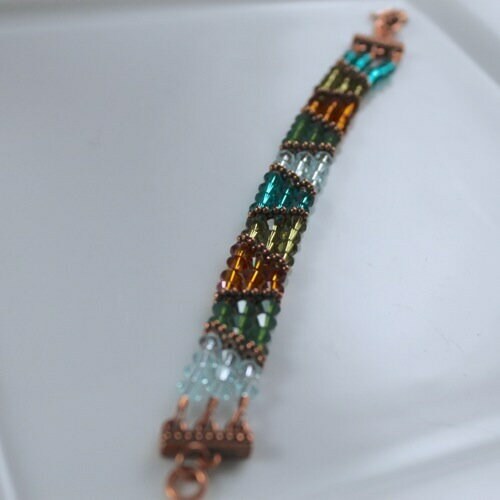 Colors include Teal, Peridot, Topaz and Aquamarine. 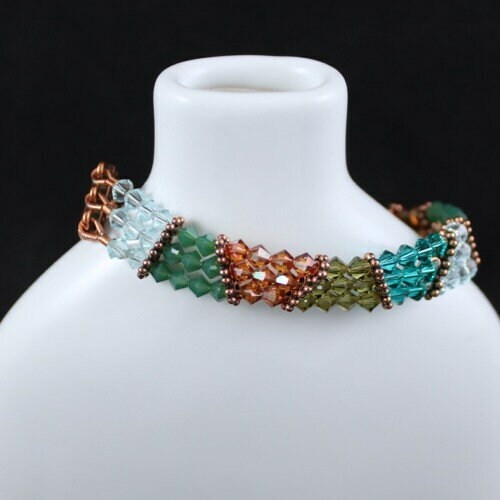 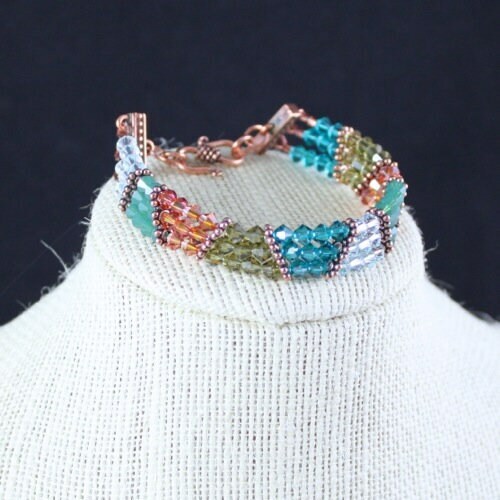 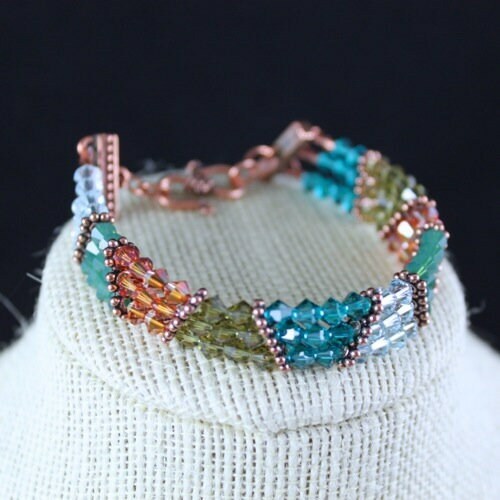 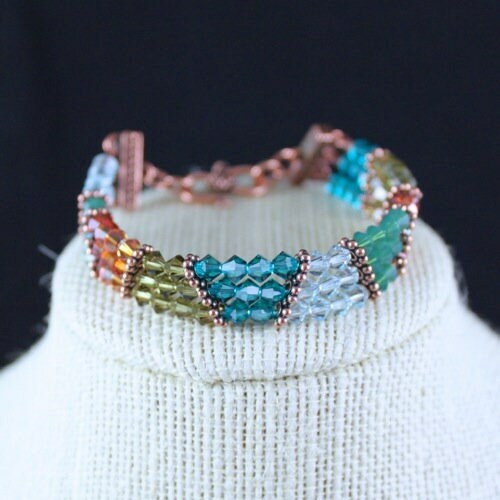 Crystals are accented with copper components and a matching copper S-hook clasp. 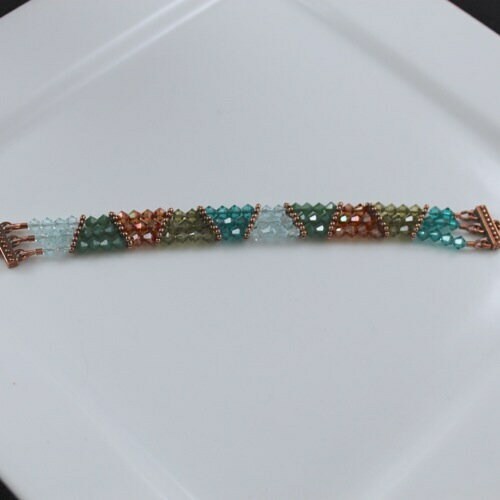 Bracelet fits the average size wrist and is approximately 7.75" in total length.